Leading open-air gallery Yorkshire Sculpture Park, Wakefield, opens The Weston, a new visitor centre and exhibition space. 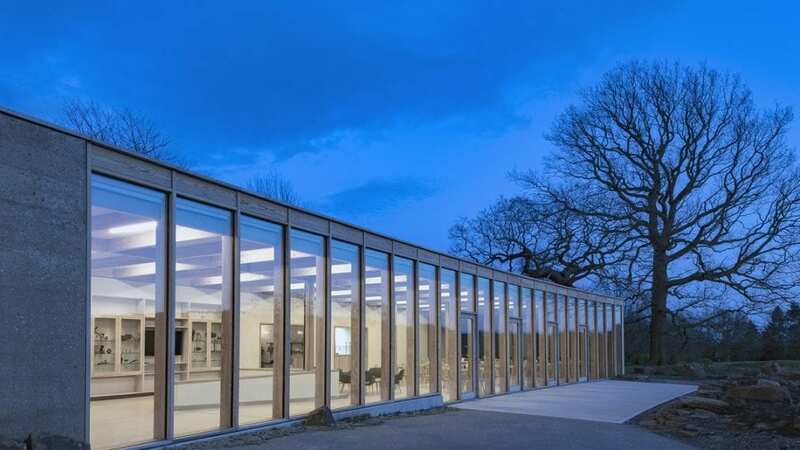 Designed by architects Feilden Fowles and constructed by Yorkshire-based company William Birch, it is constructed to have minimal impact on the site, fitting in seamlessly with the historic landscape. The Weston at Yorkshire Sculpture Park. The Weston is constructed from layered pigmented concrete, emerging from its surroundings to be filled with light. Built with sustainability in mind, it is insulated and naturally ventilated, featuring a pioneering low-energy environmental control system to maintain exhibition conditions. The new structure offers expansive views across the Park, enhancing physical, intellectual and sensory access to the landscape whilst providing an arena for a new and diverse programme. Opening to the public on 30 March. Find out more here. Lead image: The Weston at Yorkshire Sculpture Park. Yorkshire Sculpture Park (YSP), Wakefield, has a wide range of events coming up in 2017, featuring major indoor and open-air exhibitions.